I was able to view Disney’s newest resort yesterday. 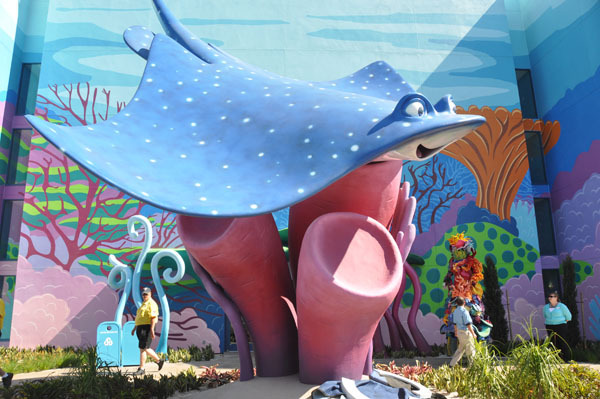 The Art of Animation resort at Walt Disney World is scheduled to open May 31,2012. 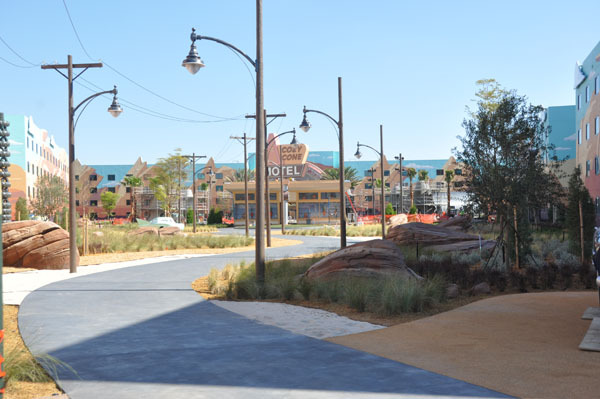 The new resort is beautiful inside and out! 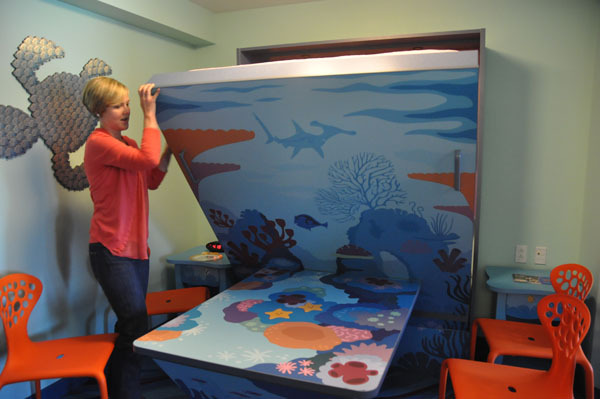 This resort was built for families and will sleep 6 in the family suites. You are in for a treat when you arrive at this resort. 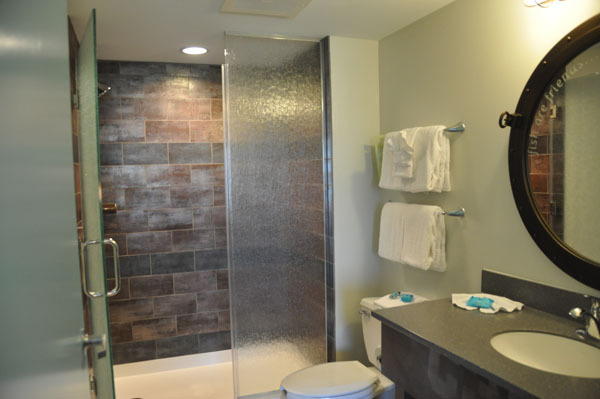 You will have your choice of 4 different themes at this resort. 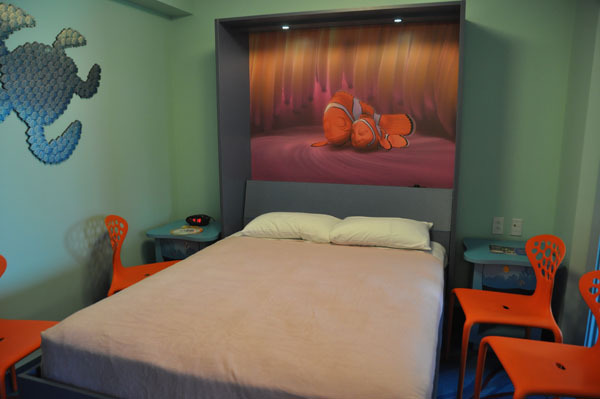 The first area to open will be the Finding Nemo Family Suites, the Cars Family Suites will open June 18, the Lion King Family Suites will open August 10, 2012. 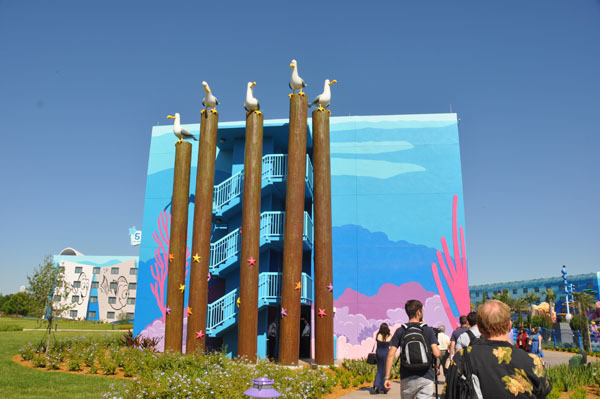 September 15, 2012 will see the opening of the final area with the Little Mermaid Standard rooms. 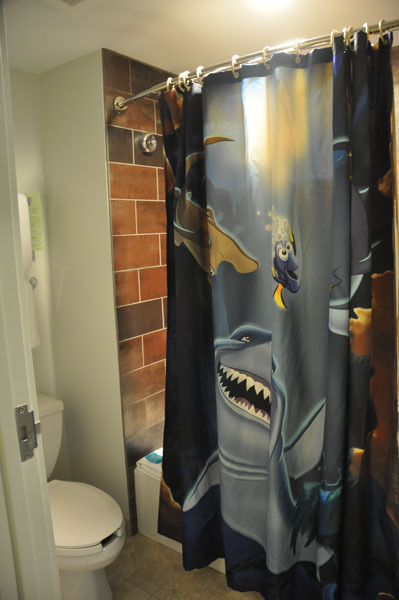 We had the chance to tour the Finding Nemo Family suites. 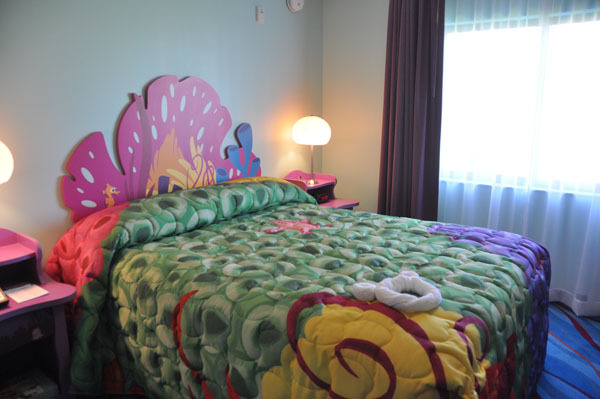 The rooms are so colorful. The kids will love the bed that folds down. 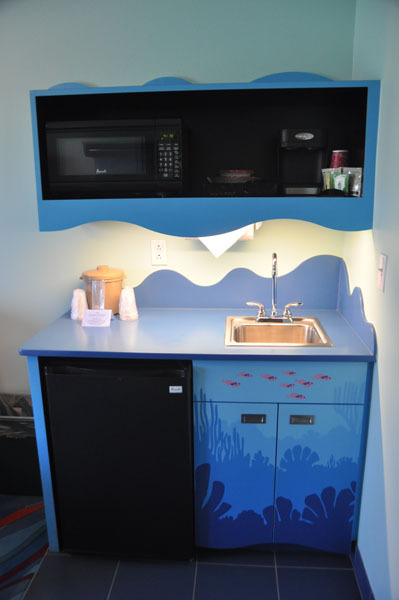 The suites have a mini kitchen with microwave and fridge. 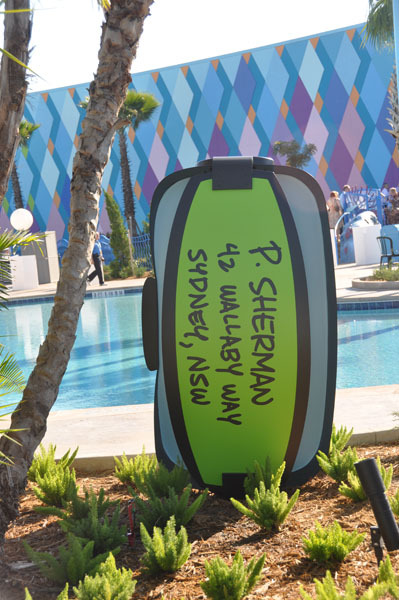 There is a great themed play area for the kids outside the main pool area. 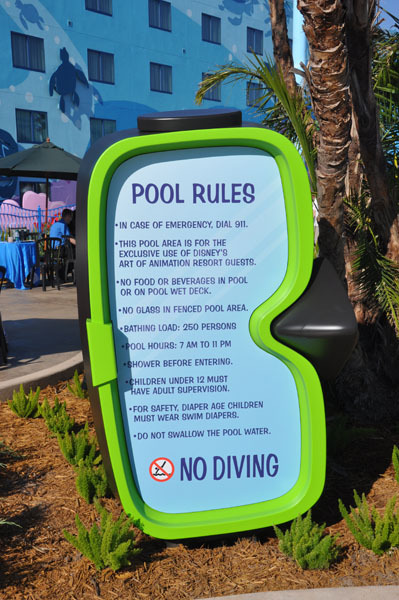 The pool is enclosed and will require your Key to the World Card to enter the pool area. 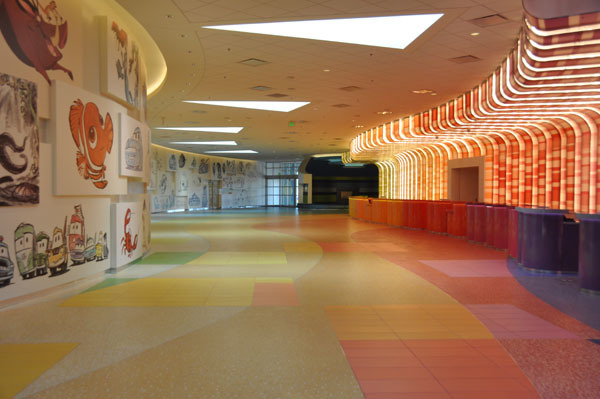 The bridge will be open to Disney’s Pop Century if you would like to stroll over there. 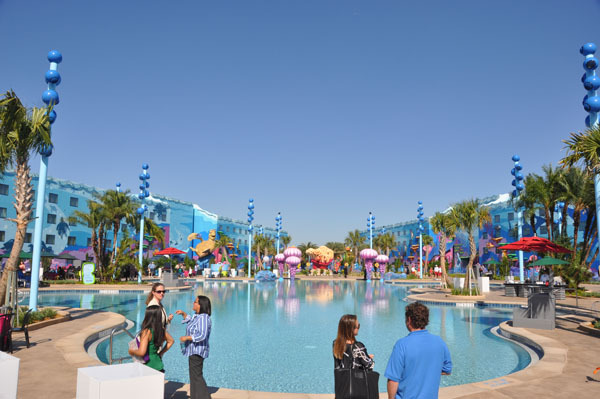 The Big Blue Pool is the largest on WDW property. It is zero entry and you will be able to hear Crush talking under the water. I can’t wait to check that out. 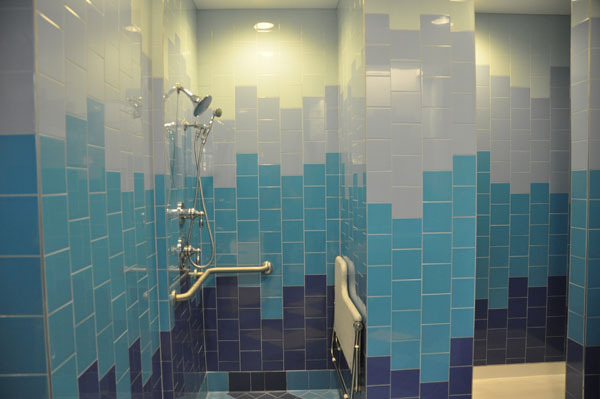 The bathrooms in the main pool area are beautiful. 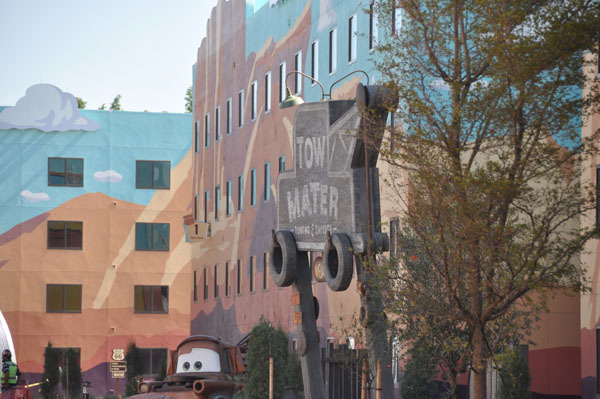 We got the chance to look over the fence at the Cars Land area of the resort. 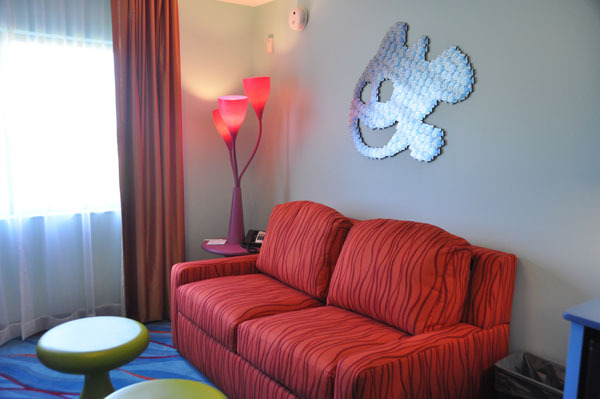 The check in area at the resort is an area where Disney has raised the bar. 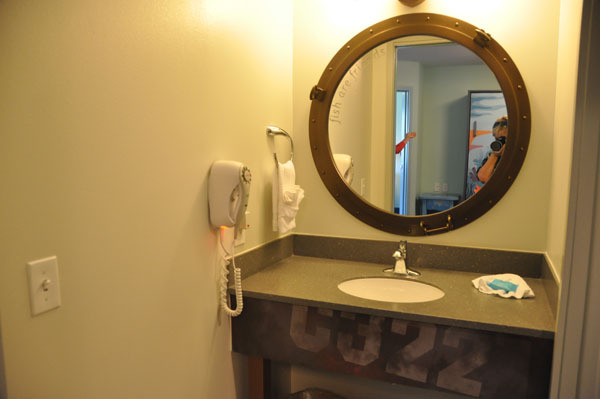 The area is more welcoming and the Cast member checking you in will be able to come out from behind the desk to give you a more personal experience. There is lots of animation art on the walls for you to enjoy. 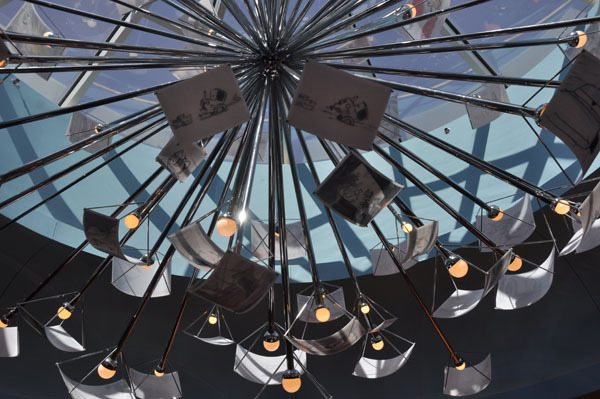 Don’t forget to look up at the chandelier. 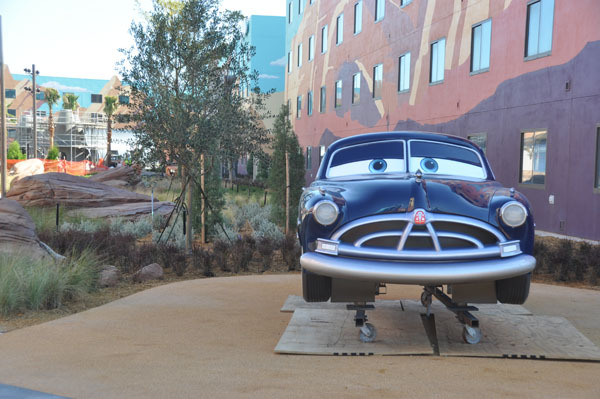 We have lots more photos from Art of Animation in our photo gallery. 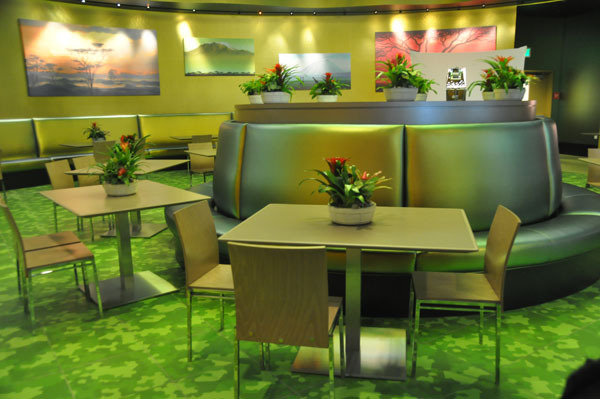 The food court area will have several themed areas so it feels cozy while you are dining. 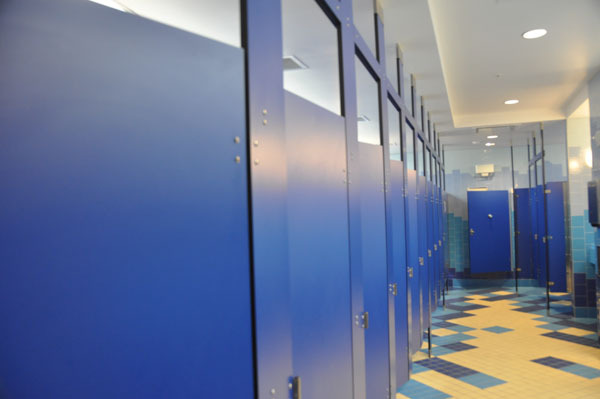 Be sure to look around the room at all the details. Don’t forget to look for Hidden Mickeys either! They are all over the place. 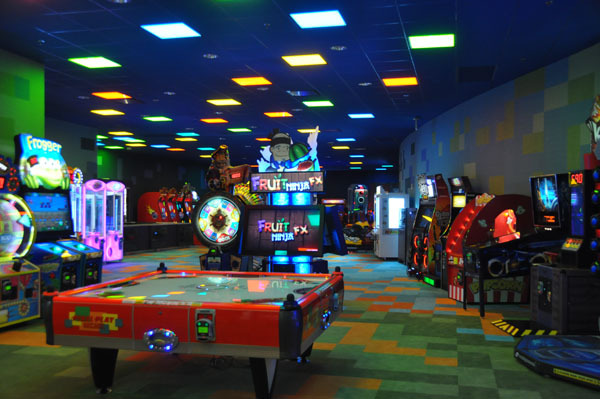 I am sure the kids will want to visit the arcade. I know I have been repeating myself but this really is a beautiful resort. 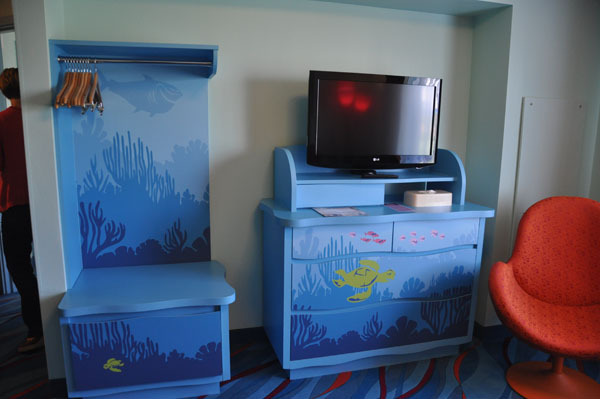 I think Disney once again has listened to its guests and added those items that people were looking for in a family friendly resort. I can’t wait to take my family for a stay. I will have more updates from this resort as the other family suites open.